AAA Water Team can handle all of your well water pump installations, replacements and repairs in the Fort Myers area. We specialize in water treatments; after all, we’ve been doing it for decades! All of our trucks are fully stocked so we can assist you immediately and without having to make lots of trips for parts! 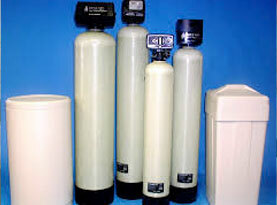 With our 30 years of experience, we can handle any well pump or water treatment need or issue. Our preferred brand is STA-RITE who offer quality submersible water well pumps for home well use. 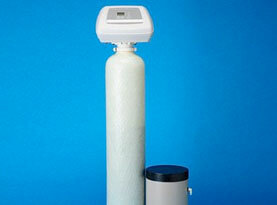 A STA-RITE pump can move and improve water, both efficiently and economically. Their products are tried and tested and precision engineered. Their submersible pumps are made of rugged stainless steel, cast iron or composite materials that are guaranteed to last and constructed to provide a smooth water passage and reduce lock-ups, dry-runs and abrasive wear. Our knowledgeable and experienced water treatment specialists can help you select the best water well pump for your needs and provide a professional installation. We stand behind our work! 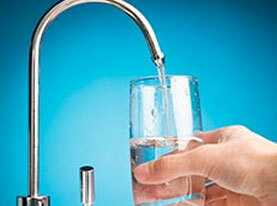 We understand that having running water in your home or business is a basic necessity. That is why our team of professionals is dedicated to providing timely quality well water pump repairs. Our professional and competent service technicians have the expertise and experience to diagnose and troubleshoot any well water pump problem. 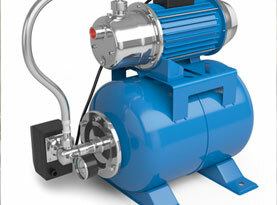 We not only offer a complete line of high quality pumps, we also repair your system should you ever run into problems. Whether it is a problem with just the pump or the complete water system, we have the knowledge and training to track down the exact cause of the problem and resolve it quickly. Well water pump problems can range from well pump detachment, no electricity to the well pump, not enough water pressure, a pump that runs too much or does not supply any water or pulsating water on delivery. Unfortunately, parts also wear out over time. That’s why our Maintenance Agreements are such a great idea! Other well pump problems include worn out and just plain bad well pumps, pump check valves, pressure tanks and pressure switches. Replacing and repairing well pumps are two completely different projects and only an experienced well pump repair crew like AAA Water Team can determine if the well water pump needs to be replaced or repaired. We are one of the only well repair companies in the Fort Myers area that will fix your water well pump and not just tell you it needs to be replaced if it doesn’t need to. And well water pump repair is not a do it yourself kind of job. If you try to attempt to pull out your well pump yourself you could easily drop your well pump in the well. Call AAA Water Team instead to solve your water well pump problems. Even if you have only minor problems with your water well pump, you should have it professionally looked at before the problem becomes more severe.